Hypocrisy, thy name is...Al Gore? A new, more-than-slightly amusing report from The Daily Caller alleges that the former vice president just might not be practicing what he preaches when it comes to the environment. Namely: his house in Nashvile uses 34 times as much electricity than an average house. According to the Daily Caller, the amount of electricty that Gore uses to heat his swimming pool over the course of a year could power six average households. Of course, Gore has argued in the past that this is okay, because he pays for solar panels and contributes to a green energy fund, but his house still receives the same non-renewable energy as his neighbors. Plus, Gore owns two other properties that presumably also use electricity. 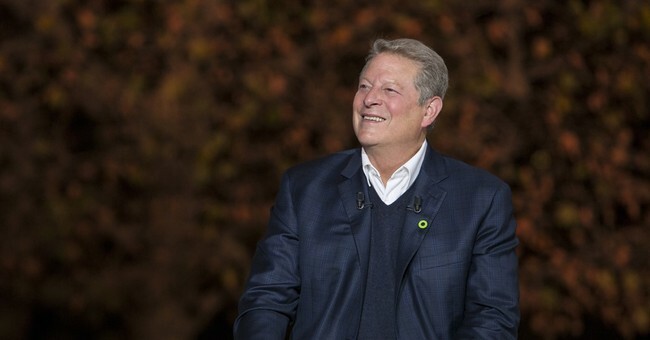 Since leaving office, Gore has spent a considerable amount of time and has received dozens of awards for his work on protecting the environment. This is certainly a laudable goal, but it'd seem less shallow if he actually practiced what he preached.